Pumice Horticultural Gravel - A general purpose crushed and graded pumice for situations where aesthetics are not a prime consideration. Use specifically as a substrate for extensive light weight green roofs and horticultural applications requiring good drainage together with moisture retention. Stone Density: Depending on moisture content stone density is approximately 700kg per m3 . The product is supplied with a natural moisture content. 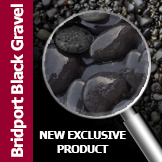 Coverage: 8kg of 10-14mm pumice will cover approximately 3/4m2 at 20mm depth. Pumice is a light weight bubbly volcanic glass - essentially a "solid rock foam". This grade of crushed and graded pumice is offered for use in situations where aesthetics are not a prime consideration. 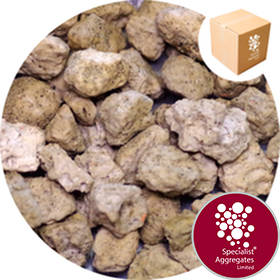 Being a natural product pumice contains no harmful substances, it is inert with pH of around 8.0. 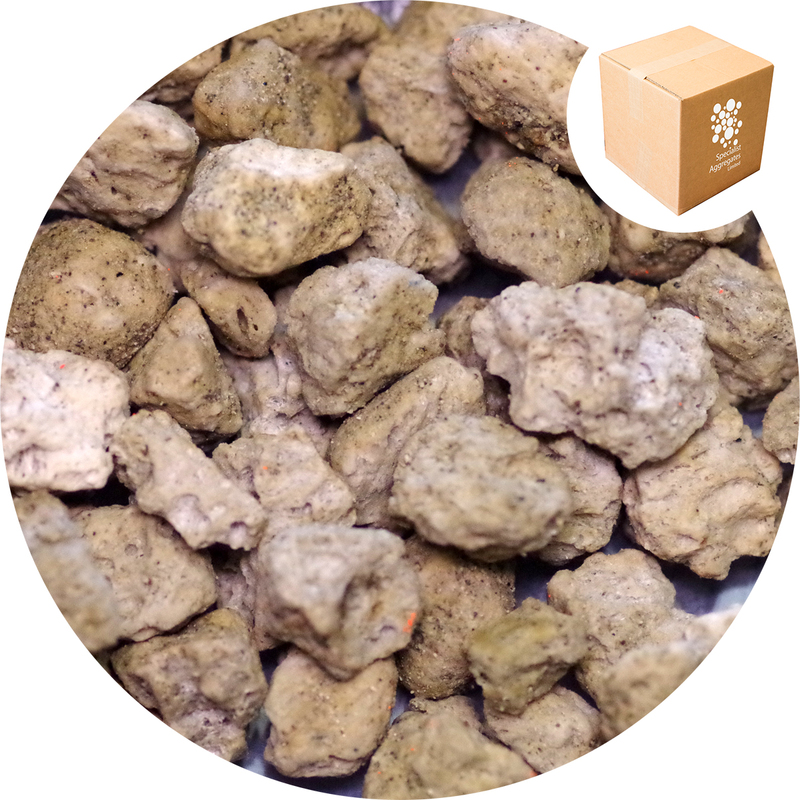 Pumice is resistant to frost and chemicals, and will not break down in water. It is also non-combustible and has excellent sound and thermal insulation properties. 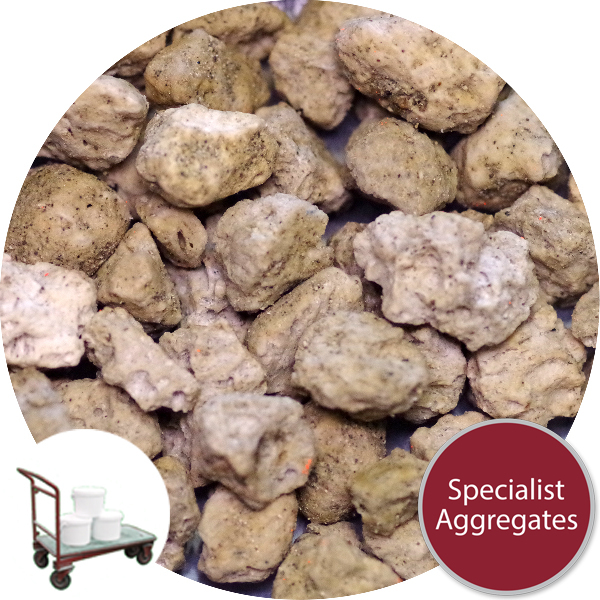 Pumice is unique within the range of light weight aggregates. 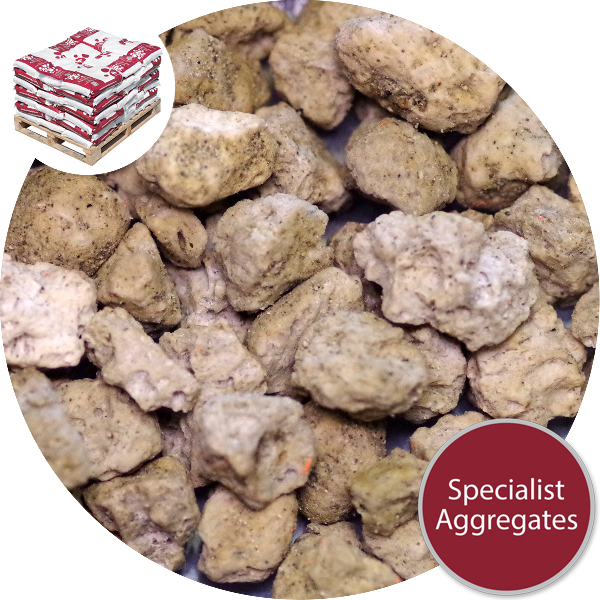 Whilst it has an open honeycomb structure similar to Leca® and Lytag® the individual pumice particles don't have an outer "ceramic" shell. This property allows pumice to readily absorb moisture during periods of rainfall, but also allows the moisture to be released during dry spells. The free draining open structure of this pumice prevents water-logging and allows aeration and effective plant root development, making this is the product of choice for extensive green roofs. This pumice may also be used for interior planting schemes in offices and shopping malls where its moisture retentive properties allow for less maintenance of free standing planters. The production of lightweight concrete, being light weight and non-combustible it is especially useful for the creation of theme park, film and theatre sets. Due to its colour we would not recommend this pumice in potpourri mixes. Safety Information: This is a commercial / industrial product and not a toy.